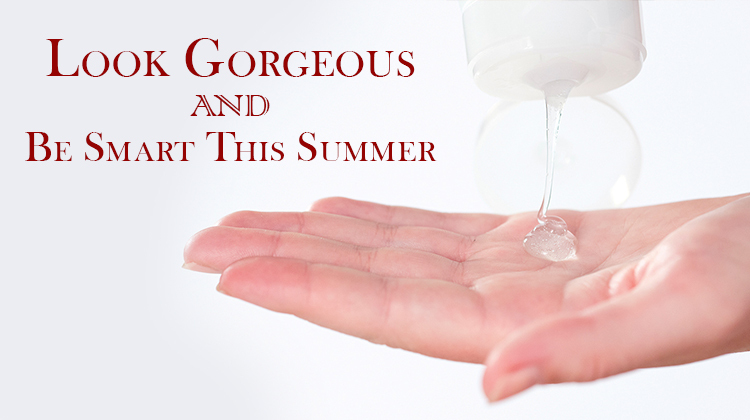 Share the post "Look Gorgeous AND Be Smart This Summer"
The joys of summer can leave lasting memories — and effects. Think salt water, chlorine, and blazing heat, all of which might leave you looking tired and dehydrated, despite the fun you’ve had! As the sun’s rays beat down in most parts of the world, it’s especially important to indulge in a conscientious skin care routine that’ll have you looking and feeling both healthy and refreshed. In order to effectively replenish lost moisture and vitamins that happens with prolonged sun exposure, you must first remove dead skin cells. Look for a scrub that you can use twice a week. (Just remember not to go overboard: too much scrubbing can damage healthy cells.) I use From the Lab’s Face Scrub No. 597. It’s loaded with nourishing active ingredients and the special, spherical Purple Jojoba Exfoliating Beads gently cleanse pores without microscopically tearing your skin. What’s more, unlike the microbeads used in many of today’s washes and scrubs, Scrub No. 597’s Exfoliating Beads are environmentally friendly! 2) Hydrate for healthy skin. You’re sweating up a storm outside, then going inside to cool down — while this might feel great, the constant transition between outside warmer temps and artificial cool inside atmospheres can accelerate water loss, which leaves your skin dry and rough. In addition to drinking an adequate amount of water, as many health experts recommend, it’s important to keep skin hydrated with a triple attack: mask, serum, moisturizer. First, use warm water to remove your twice-weekly scrub and open up your pores, then follow with a cooling mask, such as Face Mask No. 598 to gently soothe over-exposed summer skin. Using a mask is great as part of your daily routine. Pair it with a hydrating serum and a rich moisturizer to reduce the appearance of fine lines, as well as to keep skin soft and smooth. Serums, such as Beauty Elixir No. 602, penetrate your skin to deliver a concentrated dose of actives designed to replenish and revitalize, while moisturizers and face creams offer an added layer of protection. Boost the benefits of your daily routine by looking for a moisturizer, like 24-Hour Face Cream No. 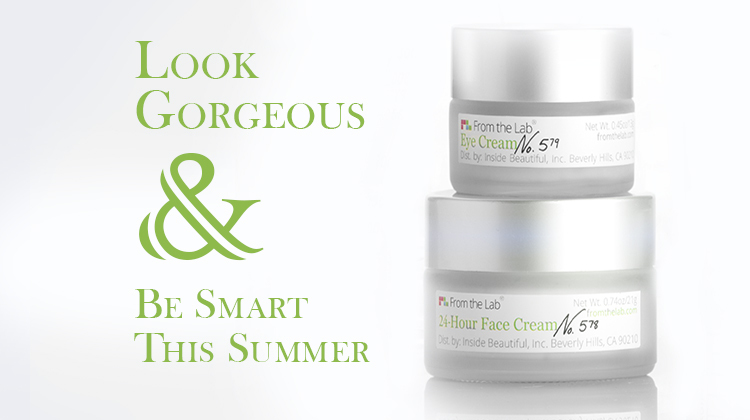 578, that not only hydrates; it also detoxifies and protects your skin from environmental micro-toxins. For sunscreen to be truly effective, you need to reapply it every two hours. In fact, if you still have sunscreen left at the end of the season, it’s a good indication that you’re not using enough. Sunscreens with a zinc oxide or titanium dioxide base provide the best broad spectrum (UVA/UVB) protection without exposing you to potentially hormone-disrupting chemicals, such as oxybenzone or vitamin A, which may be carcinogenic on sun-exposed skin. Also, avoid spray or powdered sunscreens, which can present inhalation dangers. 4) Remember to care for your hair. 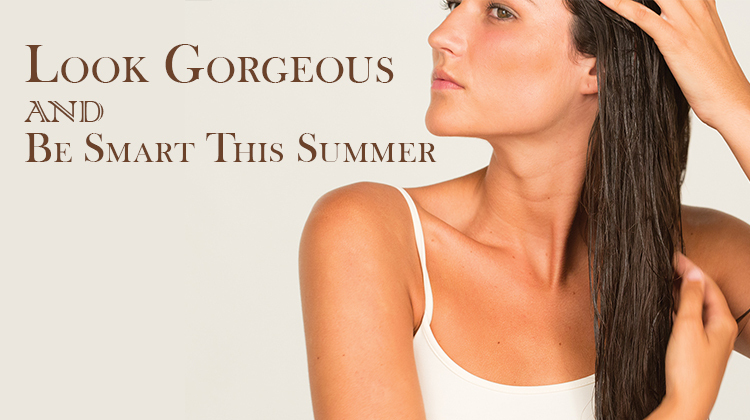 Give your scalp and hair the same consideration you give to your skin, especially during the summer months when your strands are most prone to damage from the elements, such as sun, sea, or even pool. Anti-aging ingredients, such as amino acids, fatty acids, vitamins, and peptides can help ensure healthier hair by fighting free radicals (damaged cells that can become problematic), decreasing inflammation, and moisturizing skin — all of which stimulate hair growth. Look beyond traditional shampoos and conditioners to keep your hair healthy and beautiful. Search for a serum or mask, like Hair Mask No. 718, which not only smoothes and protects strands to immediately improve the condition of your hair, but also treats your scalp with an advanced anti-aging formula, so that your hair actually grows out healthier. 5) Keep in mind, healthy skin and hair is really about the big lifestyle picture. 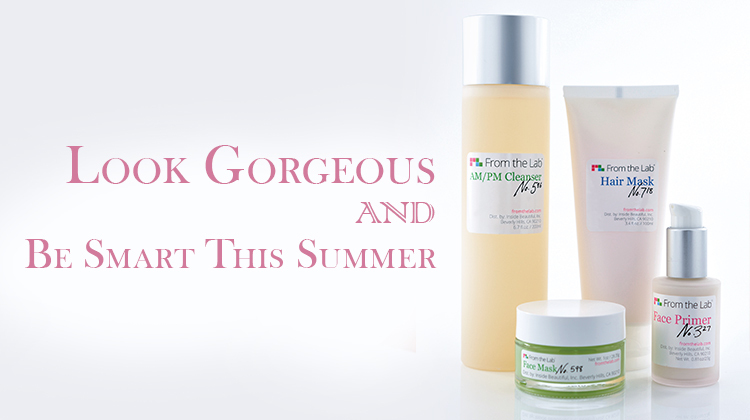 Great skin needs more than just great skin care products. While maintaining a healthy routine with smart products can indeed slow the aging process, the condition of your skin is mostly dependent upon your nutrition, hydration, environment, genetics, and even the amount of sleep you get each night. There are certainly factors beyond your control, such as the genes you were born with, but other aspects are ones you can positively impact, such as elements of your daily lifestyle. Small steps can make a big difference! Keep your water bottle filled with filtered water and ready to drink, eat protein-rich foods to give your cells the energy they need to repair damage, and move your body in joyful ways for a clearer mindset and ultimately, clearer skin.